Galway will want to continue their recent form over Mayo on Saturday evening, having not lost to their old rivals in the last six matches. The return of James Horan has boosted Mayo's confidence again, and with new players also being given opportunities, it could be exciting times ahead for them. They will certainly be determined to improve their form after a hugely disappointing game against Dublin last weekend. 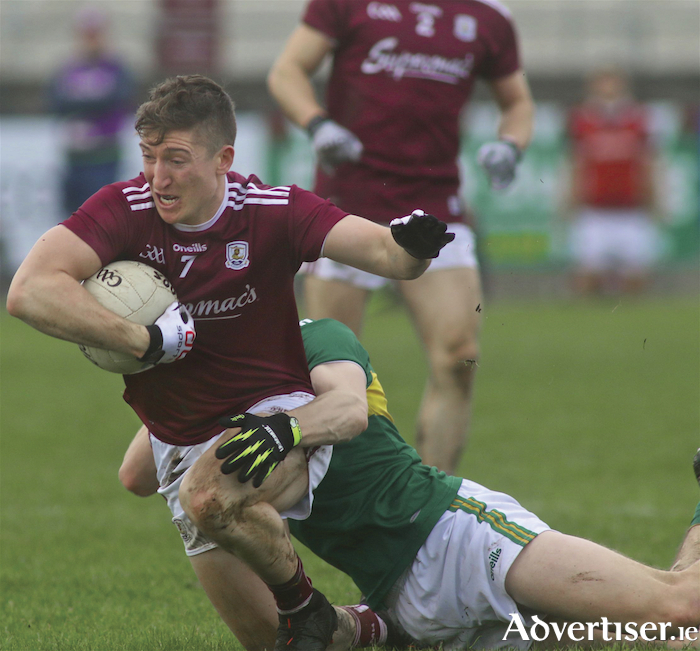 After a lacklustre first half of football in Tuam against league leaders Kerry, Galway were unlucky not to come out with a share of the spoils. For the most part Galway curtailed what has been a free-scoring Kerry team so far this league campaign, but here are three things taken from the game ahead of next Saturday’s visit to McHale park. Kerry coped very well with their early loss of Stephen O’Brien, keeping it to one point a piece for the 10 minutes. In the 10 minutes before half-time when Barry McHugh was in the sin bin, the score went from 0-3 0-4 to 0-3 0-8. The home side looked at times lost when down a man while Kerry clearly had a contingency plan to deal with the disadvantage. Tom Flynn’s black card with five minutes left was a necessary foul with O’Brien through on goal. Kerry went from being a point down to two up, the extra man here was essential with so many tired legs on the field. Galway were turned over too easily throughout the game, running into the tackle unnecessarily and from aimless kicks after winning the ball back in their own defensive line. Against a physical team like Mayo next Saturday the players need to be much more careful with the ball. The wind certainly helped Galway at the start of the second half but it also led to shots from silly angles instead of working the ball towards the centre and into the scoring zone. If Bradshaw and O’Donnell are at any stage to be absent, then Tom Flynn, Shane Walsh and Eoghan Kerin become the most experienced on the field. The confidence of youth was seen in Antaine O’Laoi, who was Galway's standout performer in the first half. His brother Finian came on for his Galway debut and performed well. Throughout the game Galway struggled to break the defensive line, but it was the introduction of John Daly and Liam Silke who started to turn the game in Galway's favour. Daly’s intelligent passing and ability to see the forward runs from his centre back position along with Silke’s runs from deep helped greatly in putting Galway a point up from being three down at the time of their introductions. This controlled enthusiasm, along with a higher press from Galway, was evident in the team's improved second half performance. Galway: Ruairi Lavelle, Eoghan Kerin, Johnny Duane, David Wynne, Gary O’Donnell, Gareth Bradshaw, Johnny Heaney, Thomas Flynn, Ciaran Duggan, Shane Walsh, Seán Andy O’Ceallaigh, Seán Kelly, Michael Daly, Barry McHugh, Antaine O’Laoi. Subs: Liam Silke for Daly, John Daly for Bradshaw, Pádraic Cunningham for Duane, Finian O’Laoi for Kelly, Danny Cummins for Walsh. Kerry: Shane Ryan, Peter Crowley, Jack Sherwood, Shane Enright, Gavin Crowley, Paul Murphy, Tom O’Sullivan, Jack Barry, Mark Griffin, Diarmuid O’Connor, Seán O’Shea, Gavin O’Brien, Dara Moynihan, Tommy Walsh, Stephen O’Brien.